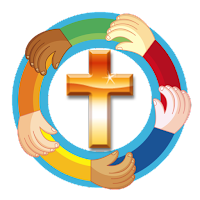 Children's Sermon by guest writer Molly Sullivan who serves Lord of the Hills Lutheran Church in Centennial, CO. Thank you Molly! Preparation: Gather a “lovie.” Your favorite toy/stuffed animal/blanket from when you were a kid. You could also use one from your child, or a picture of yours, or just jog your memory and have a good description of yours ready. Faith + Share: Our second reading this morning comes from the book in the Bible called Hebrews. This passage has lots of big words but basically tells us that God knows life is hard and he understands just how tough things can be sometimes. It says that God has been where we are in the form of Jesus. Jesus knows how hard it sometimes is to follow Him. But do any of you know just how hard the Bible says it is? Our gospel text from the book of Mark explains it in an interesting way. Tell me what your “lovie” is. This is usually a stuffed animal, blanket or toy that is your favorite. (Bring yours, or a picture of yours, and show it to them as a prop). We love these things very much, don’t we? For grownups our favorite “lovie” sometime becomes money or “stuff.” People in American culture seem to think that the more stuff we have…the better. I want you to imagine giving away your “lovie,” your favorite blanket, your favorite stuffed animal, or toy. Would that be hard? Imagine someone who has lots of “lovies.” Fancy cars, lots of TV’s in their house, awesome clothes, cool toys, and the latest gadgets, anything you could ever want. Now imagine them giving that all away. That is super hard even to imagine right? The gospel story says entering God’s kingdom is just that hard. He likens it to a rich man giving up everything that is precious to him. Actually it says it is easier for a camel to fit through the hole in a needle. Funny to think about that huh? But you know what? That’s not the end of the story. After Jesus says how hard it is to enter the kingdom of God the disciples say “Well I don’t think I can do that!” “How do we know who will be with God in eternity?” And guess what Jesus’ response is? If you do these things…meaning the really hard stuff, AND ASK ME TO HELP YOU…Then I will help you. And if you believe in me, that I am God’s Son, you will be blessed. Jesus doesn’t say it will be easy, but He says that by doing them “in His name” God will be with you. Faith + Prayer: God in Heaven, Thank you for our favorite things. Help us to make your son Jesus one of our favorite things too. Please walk with us this week. We pray in Jesus name (and all God’s children said)…AMEN! Faith + Blessing: Have the kids repeat: Gracious God (pause) Help us to see you in our lives this week.